For many kids, the most exciting part of starting a new school year is that they can resume participation in athletic events. While school athletics has many positive benefits for children, including both social benefits and health benefits, a personal injury lawyer knows that kids who play sports also face significant risks. Head injuries are among the most serious dangers of school athletics but kids could also face overexertion injuries, heat injuries and even heart attacks depending upon their physical shape and whether school athletic programs do enough to keep them safe. Having kids start exercising before the actual athletic season. About four to six weeks before a school sport starts, kids should get back into shape and begin exercising again. Acclimatizing kids to hot weather over time. When fall practice season starts, the weather may still be warm. To prevent heat injury, slowly increase the amount of time kids spend practicing outdoors in the hot sun. For the first 10 to 14 days of the practice season, kids should slowly work up to spending more time each day practicing outside. Give kids regular breaks. Around every 10 to 15 minutes, kids should be given a chance to rest and have some water or fluids to replenish their bodies. Ensure kids have protective gear that is in good repair, that fits them appropriately and that they actually use both during games and during practice. Following these safety tips can help to reduce some common injuries, but doctors still caution that head injuries are one of the biggest risks associated with playing school sports. Unfortunately, as one neurosurgeon warns, it is impossible to ever undo the damage that a brain injury can cause once a child has sustained a blow to the head. The damage can cause long-term health problems such as increasing the risk of suicide, depression and dementia. School athletic departments must know the signs associated with concussion, which include sensitivity to light, memory problems, disorientation or confusion, and dizziness. If it is suspected that a child athlete may have sustained a concussion, a thorough medical evaluation is necessary and the child should not continue to participate in athletic events unless or until he has been cleared to do so by a medical professional. 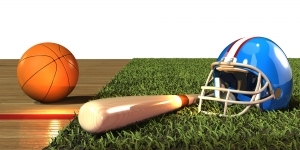 While many people think of football when they think of injuries resulting from athletics, WCYB warns that football is not the only high-risk sport. Kids can also sustain head injuries when playing games like soccer or basketball or when participating in cheerleading. Repeated head injuries in any sports event are more likely to do more long-term damage and cause complications. Athletic departments need to be aware of the dangers of head injuries and should have a protocol in place for meeting the medical needs of a child who has sustained a blow to the head. Call the Law Offices of Gary Martin Hays & Associates, P.C. 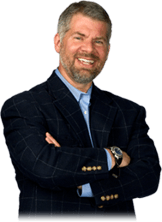 at 1-800-898-HAYS or visit https://www.garymartinhays.com to schedule a free consultation with an Atlanta personal injury lawyer. Are Atlanta Bike Riders Disregarding Driver Rights? Many people ride bikes for their commute because they want to get exercise or because they believe it is better for the environment. Bikers have been vocal about encouraging local municipalities to improve conditions for riders and have largely been successful in getting bicycle lanes installed and ensuring that lawmakers consider the needs of riders. In fact, just recently, Atlanta was chosen for a bike lane project that WABE reports will result in the construction of safer bike lanes in the city. Some drivers, however, are questioning whether bike riders may have gone too far. In several recent articles in the Washington Post, bikers have been described as "bullies" and as trying to "rule the road." If bikers do indeed behave in an aggressive way and fail to follow the rules, this could affect their right to recover compensation after a collision. A personal injury lawyer can help those involved in a bike accident to determine who is to blame. According to the Washington Post, bike riders have pushed to have bicycle lanes installed in places where parking previously was located, causing shortages of convenient parking in some areas. Bicycle riders are also accused of traveling too slowly on busy streets during rush hour and not respecting motorists who want the bikers to get out of the way. The columnist even suggests that "bikers routinely worm their way to the front of a line of cars waiting at a red light" and then poke along at a "snail's pace" and hold up traffic when the light turns green. In a separate article also picking on bike riders in the same newspaper, a columnist lamented that bicycle riders frequently ride on sidewalks where pedestrians travel. Yet another columnist complained about "bicycle ninjas" who ride without lights at night or when visibility is low. This makes the bicycle riders difficult to see and puts pedestrians at risk as well as increases the chances of a bike accident occurring. Some of these bikers may also go the wrong way in bike lanes and ride on sidewalks even when they are difficult to see. These criticisms seem to suggest that some bicycle riders have a sense of entitlement and it is disrupting the orderly operations of the road. The reality, however, is that bicycle riders still face significant dangers even though bike lanes have become more common. According to the National Highway Traffic Safety Administration, there were 726 bicycle riders killed in 2012 and another 49,000 got hurt in motor vehicle collisions. While bike riders made up just two percent of people killed and two percent of people injured in traffic accidents, the number of fatalities is on the rise. 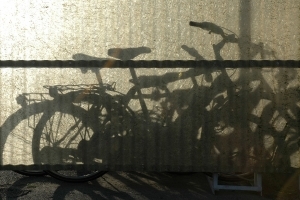 In 2012, for example, there were six percent more bicycle riders killed in collisions as compared with the prior year. Urban areas are the most dangerous for riders, with 69 percent of all deaths occurring in urban areas. Both bicycle riders and drivers need to be respectful of each other and need to obey the rules of the road. The risk of accidents can be reduced only if everyone is careful. Call the Law Offices of Gary Martin Hays & Associates, P.C. at 1-800-898-HAYS or visit https://www.garymartinhays.com to schedule a free consultation. Will Truck Safety Rules Really Reduce Accidents? The number of hours a trucker is allowed to drive was reduced recently. The Federal Motor Carrier Safety Administration (FMCSA) changed the rules on maximum hours of drive time to prevent drowsy driving collisions. The Administration claims that this change is already having a positive effect and will prevent thousands of crashes. However, not everyone agrees that FMCSA's new rules will actually bring the promised benefits. Further, other problems within the trucking industry also spell trouble for road safety. Victims of truck accidents need to understand their rights and should contact an Atlanta truck accident lawyer at the Law Offices of Gary Martin Hays & Associates, P.C. for help after a collision. The FMCSA limits truckers to driving 60 hours over a seven-day period and 70 hours over an eight-day period. Once a trucker hits these limits, he is required to rest for 34 consecutive hours. His rest time must include two periods between the hours of 1:00 a.m. and 5:00 a.m. Other new limits include a daily maximum drive time and a requirement that truckers take a break of at least a ½ hour after eight hours on the job. 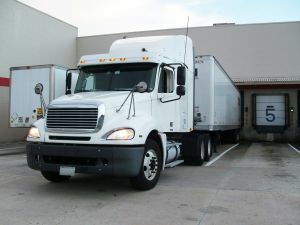 The new limits went into effect on July 1, 2013, and FMCSA is now touting a study on drivers who start their work week with just one period of nighttime rest. instead of two. These drivers reportedly are more sleepy, are more likely to exhibit lapses in attention, and are more likely to deviate from their lanes at all times of the day. Because the two-night rest period has been made mandatory, the FMCSA asserts that 1,400 crashes, 560 injuries and 19 fatalities will be prevented every year due to drive-time limits. Some trucking groups, however, question whether the promised benefits will actually materialize. By requiring drivers to sleep at night, truckers are more likely to drive during the day during higher traffic times. This could actually result in more collisions occurring. Further, enforcement of the maximum number of hours on duty can be difficult. Drivers have to keep log books of time spent on the job, and employers are supposed to monitor truckers to ensure they don't exceed the legal allowable time. Unfortunately, both truckers and employers have a lot of incentive to break these rules because there is a severe trucker shortage. There are not enough truckers to do the routes that need to be done, and the shortages of qualified drivers are only likely to grow worse. If a trucker does violate the rules and drive when he is not supposed to, the FMCSA regulation could make it easier for crash victims to obtain compensation. A victim injured in a collision could point to the trucker's rule violation to show the driver was negligent in a way that caused injury. While this may help accident victims to recover traffic-accident losses, it would be far better to prevent the accident in the first place. The FMCSA's rules may not be effective and may not be the answer to saving lives. Truckers and trucking companies making a commitment to safety is the only way to protect motorists on the roads. An Atlanta truck accident lawyer can help if you are in a collision. Call the Law Offices of Gary Martin Hays & Associates, P.C. at 1-800-898-HAYS or visit www.garymartinhays.com to schedule a free consultation. Head injuries are a common injury in the United States, with the Mayo Clinic indicating that most of the incidents of head trauma happen because of falls, motor vehicle accidents or as a result of violence. Unfortunately, as many as 1.7 million traumatic brain injuries occur annually, according to data from the Centers for Disease Control. Head and brain injury attorneys in Atlanta know that as many as 75 percent of these millions of brain injuries are concussions. Concussions may seem like relatively minor injuries, but the reality is that the consequences of this disruption of normal brain function can be long lasting and can affect your health even months or years after the initial trauma occurred. A study published in the medical journal Neurology recently shed more light on the lingering changes to the brain that a concussion can cause. The Neurology study revealed that patients who had suffered a concussion still had changes to the brain four months after the incident. These changes were not generally visible on the most common medical tests, including traditional MRIs and CT-scans, so many medical experts and patients may be unaware that the prefrontal cortex is not yet fully returned to normal several months after head trauma. The changes were detected in a special test called a diffusion MRI, which traces how molecules (especially water molecules) move throughout the subject's brain. By tracing the movement of the molecules, the test provides a clearer picture of the underlying architecture and structure of the brain. Diffusion MRI tests were performed on 26 patients who had suffered a concussion. The researchers performed the tests 14 days after the original trauma caused the concussion and then performed the test four months after the original date of injury. Researchers also gave the study participants behavioral and memory tests to observe memory and cognitive function. The researchers also performed tests on healthy subjects who had not suffered a concussion to compare the results. Both the diffusion MRI results and the results of the behavioral tests indicated that the concussed victims were still experiencing after-effects of their head injuries. As was consistent with prior data, the patients who had experienced a concussion performed slightly worse than the healthy patients on both memory and cognitive function tests. The diffusion MRI performed four months after the concussion occurred also showed that the concussed patients still had 10 percent more fractional anisotropy in grey matter. The reason for the higher levels of FA was not clear but possible explanations include the healing process; the lingering effects of fluid accumulation from the concussion or changes to the brain's structural cells. More research is needed to determine the reason for the lingering change to the brain, but victims of head injuries should be aware that a simple concussion may not be as minor of an injury as some tend to believe. Contact Gary Martin Hays & Associates in Atlanta at 1-800-898-HAYS to schedule your free consultation. Attorney is not the author of this blog. 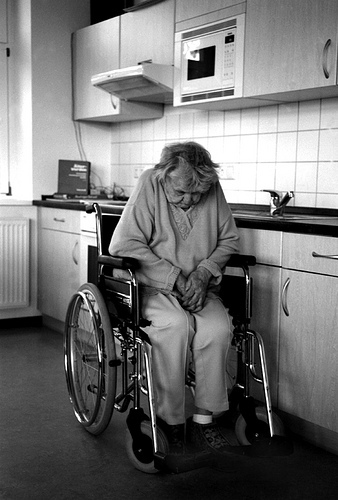 Elder abuse is an umbrella term that may include physical, sexual, or emotional abuse; financial exploitation; and neglect, abandonment or self-neglect. Caseloads are increasing for state investigators in Georgia, as more and more reports of elderly abuse and neglect are made. According to Adult Protective Services, there has been a 67% increase in elderly abuse and neglect since 2008. Many feel that the slumping economy plays a major role in the increase. The state's 2014 proposed budget will cut nearly $530,000 of funding, even as the number of abuse reports are on the rise. Some of the cuts will eliminate jobs for family service workers. With the rise in numbers in the population, the potential for further elderly abuse and neglect is dangerously high. Attorney Gary Martin Hays has seen a rise in cases as well and says "This problem isn't getting better so it's vitally important for families to take special care of their loved ones, especially when choosing nursing homes"
We fight for nursing home abuse victims. Your free consultation is a click away. At Gary Martin Hays & Associates, we recognize how difficult it can be to cope with the trauma of nursing home abuse. Your first step to simplify the process is to contact us today. From the insurance forms to the medical bills, our experienced staff can help you sort through the red tape and paperwork. Call 1-800-898-HAYS. There is no fee for your initial consultation. Now is the time to act. The National Safety Council is reporting more accidents occurred during the first 8 months of this year than during the same period last year. It's a trend that is of particular concern to safety advocates given that the last three months of the year are typically the deadliest on the nation's roads. A total of 21,560 people were killed through August this year, up 7 percent from last year and 5 percent from 2010. Georgia traffic accidents claimed 761 lives through August this year, compared to the 722 motorists who were killed last year. Atlanta personal injury attorneys understand an increase in the number of serious and fatal accidents has been expected as the economy continues to recover. More people working means more motorists commuting. And more families on weekend getaways or hard-earned vacations. But the end of the year is a particularly tragic time for traffic accidents for a number of reasons. Understanding the risks, and discussing them with family, friends and loved ones, can go a long way toward keeping you safe during what should be the most joyous time of the year. Teen Driving: The National Highway Traffic Safety Administration was among the organizations that opened October with a push to get teens and parents to better communicate about the importance of safe driving habits. Teens are more likely to die in a car accident than by any other means. Nearly 2,000 teenagers were killed and nearly 200,000 were seriously injured in traffic accidents in 2010. "Immaturity, inexperience, and a penchant for risk-taking are the major reasons for high crash and fatality rates among teen drivers," said NHTSA Administrator David Strickland. "In addition to comprehensive state graduated driver licensing systems and strong bans on teen cell phone use and texting while driving, parents who are involved throughout the learning-to-drive process are vital in creating safe and prepared young drivers." Pedestrian & Bicycle Accidents: School is in session and the end to Daylight Savings Time is upon us. Making the afternoon commute at dusk increases accidents risks for everyone, but these risks are particularly acute for bicyclists and pedestrians. Distractions: In recent months, safety advocates have grown nearly as concerned about walkers as they are about distracted drivers. Everyone needs to put the smartphones down and concentrate on getting where they are going in as safe a manner as possible. Drunk Driving: From the beginning of football season, through the year-end holidays, the risk for drunk driving accidents is at its peak. Nationwide, more than 10,000 people are killed in an accident with a drunk driver. That's one death every hour -- making drunk driving a cause of one-third of the nation's fatal accidents. Few of these accidents are truly accidents. By sticking to safety basics you can help ensure you and your family avoids a tragedy this holiday season. If you've been injured, call the Law Offices of Gary Martin Hays & Associates. Call 1-800-898-HAYS for a free consultation. It's an unfortunate but not uncommon scenario: a patron of a bar is assaulted and injured by another person. Under such circumstances, the injured person may have a right to sue the bar or property owner for what is known as "negligent security." A negligent security case can be complex. Typically, an Atlanta negligent security lawyer will investigate any prior criminal assaults on the property. If there is a history of assaults on the premises, the owner of the business should have known to take extra security measures. 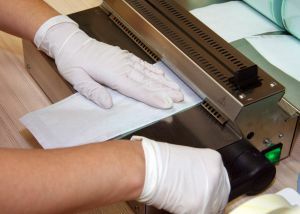 The attorney typically will have access to an expert who can discuss any types of security measures that should have been in place at the bar. At the Law Offices of Gary Martin Hays & Associates, our premises liability attorneys in Atlanta have experience protecting the rights of individuals who were injured due to negligent security. We have access to the experts who may be needed to prove that the owner was negligent. Negligent security cases can be emotionally devastating for the victims. Some of these Atlanta inadequate security cases involve individuals who were sexually assaulted or violently attacked. While a bar can be a location for a negligent security case, victims can be injured just about anywhere, from malls, hotels, apartment complexes, schools and parking lots. Poorly lit parking lots, garages, stairwells, etc. An assault or violent crime can happen anywhere. For example, you might expect to relax at an Atlanta hotel or resort. What unfortunately sometimes happens is that the management fails to hire sufficient security; they may fail to make sure hotel keys are kept secure; they may not have bothered to fix a broken window lock. Any of these factors can lead to tragic consequences. You or a loved one may experience a dangerous or deadly assault through no fault of your own. If you or a loved one was injured on someone's property, it's important to discuss your options with an Atlanta negligent security lawyer. You may be entitled to compensation for your losses. For a free consultation, call 1-800-898-HAYS. At the Law Offices of Gary Martin Hays & Associates, we have experience handling all sorts of Atlanta inadequate security cases. An attorney can provide the guidance you need if you were injured on someone's property through no fault of your own. Last Monday, a 27-year-old man, Seth Atkinson Jr., was killed at a road side construction site inside the gated subdivision at Landings Way South in Savannah. 66-year-old, Carmencita Limosnero, hit four workers and a dump truck that was in the roadway and a backhoe tractor located in the median of the road, according to the news report. Three of the workmen were taken to Memorial University Medical Center with injuries and Atkinson died at the scene at 12:16pm. Limosnero was taken to the hospital also, but with no reported injuries. The workers were repairing the pavement at the apartment complex and they were all employed by Groundworks Unlimited. The attorneys at The Law Offices of Gary Martin Hays & Associates are ready to fight the insurance companies and get you the compensation you deserve. Work-related injuries can leave you out of a job and in debt from medical expenses. Call us today 770-934-8000. Pedestrians hurt every year in accidents in Georgia. Texting a factor? Pedestrians die every year due to auto accidents in Georgia. Between 2000 and 2006, a total of 1,087 pedestrians lost their lives in an auto accident in Georgia, according to the Georgia Department of Transportation. That's 155 people each year. Sometimes, distracted drivers hit pedestrians. Other times, it's the pedestrians who are distracted. A startling study recently highlighted the link between pedestrian accidents and texting. Have you been injured in a pedestrian accident in Georgia? Injured by a driver talking on a cell phone in Atlanta? You need a Georgia personal injury lawyer who puts people first. You need the Law Offices of Gary Martin Hays & Associates. Serving clients in Georgia, our experienced Atlanta personal injury attorneys have dedicated their careers to helping people injured in pedestrian accidents. We understand how long and difficult the recovery process can be after a serious pedestrian accident. We know how difficult insurance companies can be sometimes responding to claim requests. Level the playing field. Contact a Georgia personal injury attorney committed to fighting for your rights. Contact the Law Offices of Gary Martin Hays & Associates. Here's a sobering statistic. If you're texting while crossing the street, you're four times more likely to be hit by a car than someone who's not texting. Specifically, you have a 25 percent chance of being hit by a car while crossing the street if you're texting. If you are not texting, you have a 6 percent chance of being hit by a vehicle, according to scientific study conducted by the Youth Safety Laboratory at the University of Alabama at Birmingham. Pedestrian accidents result in serious injuries - and even death - every day across America. More than 59,000 pedestrians are injured each year in accidents on average nationwide, according to the statistics compiled by the National Highway Transportation and Safety Administration. Accidents happen fast. But the consequences can last weeks, months or even years. If you've been injured in a pedestrian accident, fight back. Contact the Law Offices of Gary Martin Hays & Associates. We mean business! Georgia places a great deal of importance on school bus safety. That's why officials in Gainesville, Georgia - a city near Atlanta - met recently to review safety procedures. "(T)here's a number of buses on the roadways, as well as other vehicles on the roadways, so therefore the percentage for an accident goes up," said Kevin Holbrook, public information officer for the Gainesville Police Department. School bus accidents in Georgia happen fast. In an instant, your child can sustain a serious injury. Knowing what to do after a school bus accident can be challenging. You need a Georgia personal injury lawyer with experience handling complicated cases. You need the Law Offices of Gary Martin Hays & Associates. Serving clients in Georgia, our knowledgeable Atlanta personal injury attorneys have dedicated their careers to helping people injured in bus accidents. We know how complex such cases can be for injury victims and their families. We can help. Contact a Georgia personal injury attorney who puts people first. Contact the Law Offices of Gary Martin Hays & Associates. The recent school bus safety event in Gainesville, Georgia allowed police and other emergency personnel to practice important safety procedures. Officials rehearsed evacuating a school bus, including how to properly and efficiently evacuate children. Every second counts in a school bus accident. The slightest delay could mean the difference between a minor and a serious injury. So many factors come into play in a school bus accident. Was the bus driver obeying all traffic signals? Was the other driver speeding, texting while driving or operating under the influence of alcohol? These are just some of the issues we regularly investigate in accidents involving school buses and other vehicles. Don't leave your future to chance. Go with an experienced law firm focused on results. Contact the Law Offices of Gary Martin Hays & Associates. We're on your side.